The Dallas Producers Association is a professional organization providing promotion, advocacy, education and networking for our membership. Membership is open to any company or individual of high standing, based in North Texas, that has managerial, budget or creative control for the production of moving visual media. To promote the membership throughout our industry and to organizations of companies which use our services. To advocate for our members in legal, business and political forums affecting our livelihood. To deliver on-going professional development to our members as producers, businesspeople and citizens. To build a network of resources and foster friendly competition. The DPA was founded in 1978 by a group of six Dallas-based independent producers. The goals of the DPA have withstood the test of time and are as valuable today as they were three decades ago. Historically, the DPA has been an organization for the benefit of independent producers. Over the years, its membership has expanded to include facility providers, equipment rental companies, talent, writers and other producer service providers. 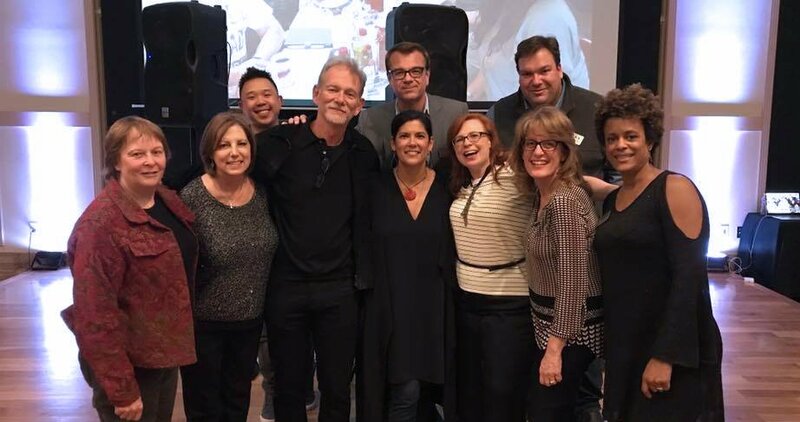 In today’s DPA, producers and service providers work together to promote the welfare of the DFW film and video community and exchange a wide range of ideas and information. DPA has a history of championing the rights of independent producers against unfair legislation and unfair labor practices and serves as a legal “watchdog” for producer interests. 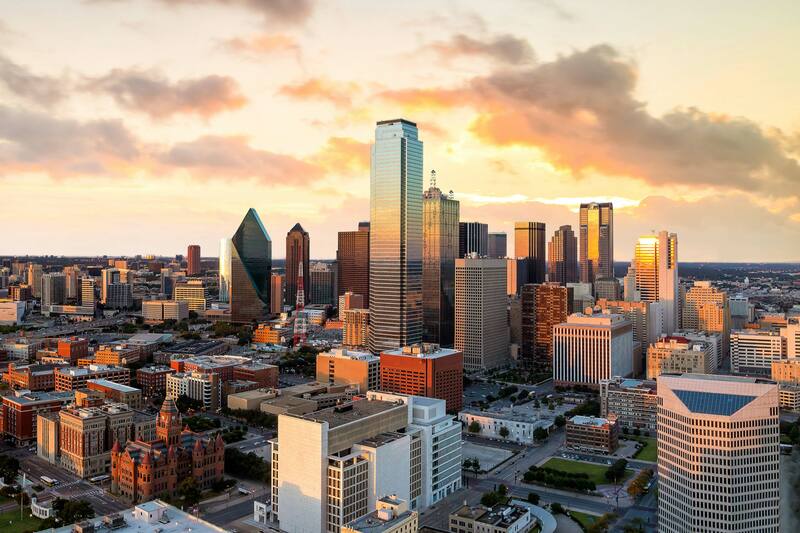 If you would like more information about the DPA, including how to become a member, if you are interested in sponsoring a DPA event or advertising with the DPA, or if you would like to learn about participating in our mentoring program, please email us at info@dallasproducers.org. Alternately, submit the contact form below and we will follow up with you promptly. Born in the Netherlands, Mikon Haaksman has spent over twenty years in film, television, and corporate production where he has won over 27 industry awards. He graduated from the University of Oklahoma and attended London Film School before pursuing his career. Mikon currently works as a freelance producer, director, DP, and editor on national television programs as well as corporate clients. His production company, Haaksman Media, produces documentary style online marketing videos. Mikon continues to expand his knowledge of the production industry and enjoys giving back to the community through the Dallas Producers Association. Rebecca is an experienced producer and production operations manager with a strong background in agency and corporate content production. Having run a video production and creative services agency, as well as having managed operations within larger organizations, Rebecca’s broad experience in project management, team leadership, and production has allowed her to effectively lead production crews and cross-functional teams, manage collaborative client relationships, and deliver high profile projects on time and on budget. Clayton is an award-winning producer of features, television, corporate video and interactive media. He has served as a producer or manager on over 150 media productions including: Producer, Line Producer or Production Manager on over 85 productions; Field Producer on 30 reality television series episodes; and Producer or Programmer on over 35 interactive media projects. Clayton produced the independent feature film, Echoes of Innocence, which was the third domestic feature to be released digitally (no prints) nationwide on 176 screens in the top 32 markets. Recently, Clayton produced two nationally broadcast television series for the Veria Network, the outdoor wild foods program Hot On The Trail with Sunny Savage and the natural birth/midwifery reality docudrama Labor of Love. Clayton has served on the Borad of Directors for the Dallas Producers Association for the past 7 years including two-terms as President from 2008-2010. Christopher Bigbie served as DPA president 2014-2015. Christopher first started in the film business in 1989 on Peter Bogdanovich’s “Texasville.” Since then, he has worked in many areas of production, including broadcast/syndicated television, films, corporate video, music videos and national/regional broadcast commercials. Some of Christopher’s notable clients as Producer/Director/DP include RadioShack, American Airlines, MonsterCable, Motorola, Pizza Hut, Doritos, America’s Most Wanted and the Oprah Winfrey Show. He has also served as Creative Director for such clients as MonaVie, Ignite, Veema, ACN, Team National, Enlyten, Asea and CieAura. Having garnered several Addy and Telly awards, Christopher strives to bring to each production a unique and creative vision that yields a distinctive viewing experience for each client. LaDonna produces, writes and edits commercials, public service announcements and documentaries for clients to use on their social media outlets, employee training and gala or black tie event. She enjoys video editing and creating quality content that has the power to inspire its audience. Russ Jolly served as DPA president for 3 years. Russ is owner, producer, creative director of 214 Media and a fifth generation Texan. He’s a graduate of North Carolina School of the Arts and has enjoyed a 30 year career in creative storytelling. Over the past 17 years, Russ has produced, directed, written, shot & edited over 500 corporate marketing and industrial films for companies across the nation such as Cisco, Humana, Alcoa, Charles Schwab, Hotels.com, HSBC, Infinera and Mission Foods. From ’84-’98, his NYC-based theatre career included work on Broadway, off-B’way and in regional theatres around the country as a director, writer and performer. Composer Mark Menza has been writing, arranging and producing music for over 15 years. Relocating to Dallas from the northeast with an undergraduate music degree from SUNY Fredonia, jazz guitarist Mark Menza began playing, teaching, and writing. Menza Music was founded in 1994 with a focus on scoring to picture offering composing, sound design, audio post production, music supervision, and audio production for all types of media. Mark has worked on the animated series, Jimmy Neutron, DragonBallGT, Beet and Wishbone as well as a spectrum of films, documentaries and commercials. As a voice over professional, Melanie is often hired to provide the “just right sound” for commercials, corporate narration, how-to/explainer videos, radio imaging, eLearning, on hold messaging and other projects. She is proud to serve the North Texas production community through work on the DPA board of directors. Kerri Navarro, an award-winning producer, is a native Texan, born and raised in Dallas. She produced WFAA’s The Gordon Keith Show, a weekly television show for which she won a Lone Star Emmy. Some of her other production credits include producer of Fear Not Films’ short film, The Night We Died; production secretary for Ink Bug Productions’ film, Humans vs Zombies. She was production coordinator and first assistant director on the TV pilot Ghostbreakers for ABC. Kerri recently formed Black Irish Girl Productions for freelance production work and is represented by The Kim Dawson Talent Agency. She is also on the Board of Directors for WIF.Dallas and is proud to have served as the first female president of Dallas Producers Association from 2016-2017. A proud RTF graduate of the University of Texas, Larry began his career at the FOX affiliate in Austin before returning closer to home in the DFW area. After joining AMS Pictures in Dallas, he worked in several production capacities. From national broadcasts and commercials to industrial videos and live corporate events, Larry has seen a lot and has worked with individuals from all walks of life. Founding Vision Mixer Media was a natural progression to expand Larry’s independent media production aspirations which, currently, has him focused on multi-cam live and live to tape work as well as producing marketing and corporate video. Larry is also excited to contribute to the DPA as a board member. Bill’s life as a working cinematographer has taken him on projects and life adventures to the far corners of the world. Projects that have ranged from corporate and documentary work to music videos and feature films and commercials. For the last several years the focus has been on higher end commercials for broadcast and now increasingly the web. While bringing his own style and vision to a project, a core motivation is that the best work comes from the collaborative effort. Not just with directors, producers and clients but also with the technicians and crafts persons that make up a film crew. It is a collaborative effort whose chief goal is to realize on screen the images a director has in mind to best serve the project and the client. Don Stokes was formerly president of Post Asylum, a founder & president of TXMPA, past president of DPA, board member of Dallas Film Society and has been a very active member of the Texas production community for over 40 years. Don has produced award-winning films and videos in the documentary, commercial, and corporate sectors, running the gamut from script and project development, supervision and selection of production teams to budgeting and cost control. As producer, writer, and director, his work has taken him to numerous international locations and rewarded both he and his clients with awards and recognition. He’s a graduate of SMU’s Radio, Television and Film program and credits include executive producer of the Sundance/HBO-Films doc TV Junkie and the feature film The Playroom.